Yesterday we published a detailed Maximus Cryptobot SCAM review and investigative report. Today, our members are starting to feel the repercussions of failing to carry out proper due diligence. As the complaints are starting to mount, some of our members are getting irate and already starting to look for ways to remedy their situation. The big question is really who to trust, and the answer is simple. Trust yourself, and look at the facts. Certain things fall into the grey area, and others are simply black and white. For example, if you see a person who is an actor and claiming he can make you tons of money while using a fake identity then you know you are getting scammed and it doesn’t matter how many proof of successful trades you are shown on various YouTube videos. These videos are demo accounts with bonus cash infused into them. The software is rigged, so for promotional reasons it can be set to win and that is how video bloggers (for example) are successful at peddling their filth. On a more somber note, we have received complaints regarding R3vo Ransomware which was installed on a computer belonging to one of our members. The technicians that were called to fix her PC told her that due to the proximity of the virus spreading and the software which was promoted via spammy links in her mail, it was very likely that the virus is related to the Maximus Cryptobot scam. This person had to part with $100 in bitcoin to get all her family photos back as the files on her computer were encrypted and she was denied entry. This virus does the damage by appending .Lime extensions to encrypted files. It’s a malicious scam and if the affiliates can’t squeeze money out of you by referring you to fraudulent software, then they will blackmail you in order to steal your money. Yes, it’s a brave new world out there and the scammers are getting more sophisticated and persistent. 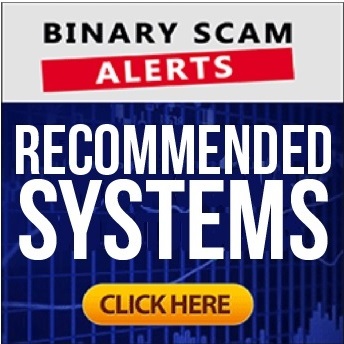 Some review sites are saying that the software employs semi-automated signals, but the sales presentation says it is an automated trading system. Either way, Maximus Cryptobot is advertised as a crypto and Forex trading software which produces profits of around 93% in the money. They claim it works because it uses multiple strategies to achieve the best possible results. In reality, this is a cheap ploy to get you to invest with a rogue offshore broker who will stop at nothing until he has your money in his hands. Who Are Kim and Max? These are actors and paid performers who will do anything for a measly five dollars, and they certainly don’t know anything about online trading. The ones we have spotted are Crypto Robot 365 and Crypto Code. If you are searching for a legit or genuine trading system then our staff has compiled a short list for you. We conduct a periodical screening process and check to see that the profits are consistent thereby eliminating any chance of you getting scammed. You can find our short list in our recommended section. The vast majority of apps being marketed these days turn out to be scams. In a recent interview Andrew Bailey from the FCA in the United Kingdom has plainly stated that financial scams in the UK only have cost people over 37 Million GBP. The Maximus Cryptobot SCAM is a blacklisted crypto robot and it doesn’t matter what other sites say because the lie is so blatant and obvious that it’s just ridiculous. If you have invested into this scam, then DO NOT reinvest and try to get your initial investment out before you send any documentation or sign anything. If you are actively trading and fully verified with full documentation sent and signed then you can kiss your money goodbye if you deposited using a wire transfer. If you used a credit card then it depends on the bank policies and which card you used. Some banks tend to take the merchant side while others try to view it from the customer’s perspective. We will also be publishing a video about this so make sure to join our Facebook Group and subscribe to our YouTube Channel to get more access to information and learn how to avoid getting scammed.